Since trade promotes prosperity, I want increased market-driven, cross-border commerce between China and the United States. But you can see in this CNBC interview that I’m worried about achieving that outcome given protectionism from President Trump and mercantilism from President Xi in China. There’s never much chance to elaborate in short interviews, so here’s some additional analysis on the key points. 1. China’s economy is weak because of insufficient liberalization. I have written about how China got great results – especially huge reductions in poverty – thanks to partial economic liberalization last century. But those reforms were just a step in the right direction. The country currently ranks only #107 according to Economic Freedom of the World, largely because so much of the economy is hampered by subsidies, regulation, protectionism, and cronyism. Sweeping pro-market reforms are needed if China’s leaders want their country to become rich. 2. Trump’s unthinking protectionism hurts both sides, but China may be more vulnerable. I mentioned in the interview that Trump’s protectionism meant that he was harming both nations. This is what always happens with protectionism, so I wasn’t saying anything insightful. But it is quite likely that China will suffer more because its economy doesn’t have the flexibility and durability of America’s more market-oriented system. That is one of the conclusion from a recent news report. Policymakers in Europe have spared no effort to emphasize that there can be no winners in an escalated trade conflict between the United States and China. But a fresh study shows there are several beneficiaries. …But a study by research network EconPol Europe suggests such an assertion isn’t quite true — in fact, it isn’t true at all. The survey analyzes the impact of tariffs imposed by the US on China and the effect of China’s retaliatory tariffs. …The EconPol Europe study calculates that Chinese exporters are bearing approximately 75 percent of the costs… in Asia, Vietnam has been gaining the most from firms relocating their production away from China. Malaysia, Singapore and India have also been profiting from this development. 3. China’s cronyism presents a challenge for supporters of unilateral free trade. I’m a supporter of unilateral free trade. America should eliminate all trade barriers, even if other nations want to hurt themselves by maintaining their restrictions. That being said, it’s not genuine free trade if another country has direct or indirect subsidies for its companies. As I noted in the interview, some economists say we shouldn’t worry since the net result is a wealth transfer from China’s taxpayers to America’s consumers. On the other hand, that approach means that some American workers and companies are being harmed. And if supporters of free markets are upset when American workers and companies are hurt by domestic cronyism, we also should be upset when the same thing happens because of foreign cronyism. The challenge, of course, is whether you can use trade barriers to target only cronyism. I worry that such an effort would get hijacked by protectionists, though Professor Martin Feldstein makes a good argument in the Wall Street Journal that it’s the right approach. China’s strategy is to give large government subsidies to state-owned companies and supplement their research with technology stolen from American and other Western companies. …That is the real reason why the Trump administration has threatened tariffs of 25% on $200 billion of Chinese exports to the U.S.—nearly half the total—unless Beijing reforms its policies. …The purpose of the tariffs is not to reduce the bilateral trade deficit but to counter Chinese technology theft and forced transfer. …the U.S. could impose heavier tariffs and other economic penalties in order to force China to play by the rules, ending its attempt to dominate global markets through subsidies and technology theft. 4. Trump should have used the World Trade Organization to encourage Chinese liberalization. I wrote last year that the President would enjoy more success if he used the WTO to apply pressure on China. It’s not just me making this claim. Here are some excerpts from a story in the Washington Post. Pressure from Europe and Japan is amplifying the president’s vocal complaints about Chinese trade practices… “it wasn’t a Trump issue; it was a world issue,” said Jorge Guajardo, …a former Mexican ambassador to China. “Everybody’s tired of the way China games the trading system and makes promises that never amount to anything.” …Germany and the United Kingdom joined the United States this year in tightening limits on Chinese investment. …In September, trade ministers from the United States, European Union and Japan issued a joint statement that blasted the use of subsidies in turning “state owned enterprises into national champions and setting them loose in global markets.” The statement…also rejected forced technology transfer… The United States did win E.U. and Japanese support for a complaint to the WTO alleging China has violated U.S. intellectual property rights. But rather than use the global trade body for a broader attack on China, the administration has demanded changes in the way the organization operates. To critics, the administration missed an opportunity to marshal China’s trading partners behind an across-the-board indictment of its state-led economy. 5. The imperfect Trans-Pacific Partnership was an opportunity to pressure China to reduce cronyism. Because of my concerns about regulatory harmonization, I wasn’t grievously disappointed when the United States chose not to participate in the TPP, but I fully recognized that the pact had very positive features. Including the pressure it would have placed on China to shift toward markets and away from cronyism. 6. Additional Chinese reform is the ideal outcome, both for China and the rest of the world. Three years ago, I wrote that China needs a Reagan-style revolution of economic liberalization. That’s still true today. The bottom line is that China’s leaders should look at the progress that was achieved last century when the economy was partially liberalized and decide that the time is ripe for the free-market version of a great leap forward. In other words, the goal should be great economic success, not modest economic success. I’ll conclude by pointing out that I don’t want China to copy the United States, even though that would be a step in the right direction. According to data from Economic Freedom of the World, there’s a much better role model. 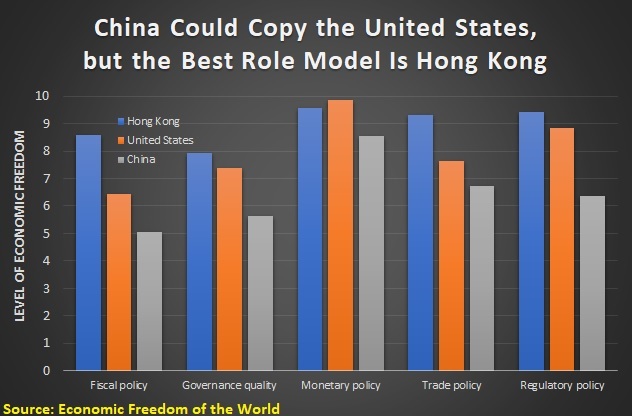 Indeed, I would like the United States to copy Hong Kong as well. The recipe for prosperity is the same all over the world. The challenge is getting politicians to do what’s best for citizens rather than what’s best for themselves. When I think of over-bearing governments with myopic enforcement of silly rules, I obviously think of the United States, especially the IRS, EEOC, FDA, and EPA. And I also think of Germany, Japan, and other straight-laced societies. But I don’t think of Canada. 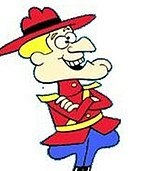 After all, that’s the home of Dudley Do-Right. Canadians are too nice to do dumb things! However, I shouldn’t be basing my views on a cartoon from my childhood. It seems that Canadians are quite capable of bizarre behavior. At least when you look at their legal system. Levying a $465 fine on a motorist with a slight tear in his driver’s license. Grudgingly allowing two girls to operate a lemonade stand. Awarding extra money to a healthcare worker because alcoholism is a disability. Ruling that it is illegal for two kids to sell worms without a license. Fining a mother for giving her kids non-state-approved lunches. Suspending a student for rescuing a classmate from a bully. Telling an Italian restaurant that Italian words are against the law. Let’s review three additional examples. I’ve written about some of the mistakes that American states (California and Colorado, for instance) have made when legalizing marijuana. Well, there are similar mistakes in Canada according to the Washington Post. When the government launched Canada’s official recreational-pot market on Oct. 17, it was banking on the idea that many users would prefer to buy legally and that the black market would quickly begin to fade. …things aren’t going as expected. …a month after legalization, more than a third of Canadian cannabis users said they were still buying from their regular dealers and hadn’t even tried the legal system. Five illegal sellers in Quebec told The Washington Post their sales are slightly up. It turns out that the legal system is a mess of harsh regulation. In 2015, when the government first committed to legalization, many of them planned to apply to open private shops. “All of us thought, ‘Okay . . . I’m going to be able to come out of the shadows and I’m going to be able to pay taxes,’ ” David said. “As time went on, it became clear that’s not what they were after.” In Quebec and several other Canadian provinces, all cannabis stores are government-run, leaving no path to legality… said Lewis Koski, former director of the Colorado Marijuana Enforcement Division and now a consultant on legalization. “I can’t think of a state here in the U.S. that has a government-control model similar to . . . Canada’s.” Even in provinces that do allow private shops or dispensaries, including Alberta, Saskatchewan and Manitoba, small businesses face high barriers. It costs almost $5,000 just to apply for a license, and if approved, $23,000 each year thereafter in regulatory fees, with provinces often adding their own charges. Let’s now look at a government-enforced Canadian cartel. The maple syrup farmers of Québec have been saddled with compulsory membership to the Federation of Québec Maple Syrup Producers (FPAQ, according to the native French abbreviation) since 1990. The Federation holds monopoly rights over all maple syrup produced in the province, controlling wholesale distribution and prices. Anyone who dares to sell more than five litres of their boiled tree sap on their own farm or to local grocery stores faces a prison sentence and a fine of hundreds of thousands of dollars. …Angele Grenier and her husband, decades-long syrup farmers, have been smuggling their contraband syrup to the neighboring province of New Brunswick. In the dark of the night, they load barrels onto trucks and sneak across the province border to market freedom. For this terrible black market act of choosing their own customers and prices, Angele is one of Canada’s most wanted women. She has appealed the charges brought against her by the FPAQ, and her case is being taken up by the Supreme Court. Maybe Canadian syrup smugglers can learn lessons from Norwegian butter smugglers? Last but not least, the Toronto Star reports that Canadian law enforcement is capable of government thuggery. At about 5 p.m. on May 13, 2009, Kosoian stepped on the down escalator at a subway station in Laval. She was heading to her history class at a university in downtown Montreal. Kosoian had used that same escalator almost every day for four years. She knew that at the front of the escalator, as well as at a spot halfway down, were yellow pictograms that said, “Caution … hold handrail.” She deemed the pictogram nothing more than a warning or recommendation. Besides, the H1N1 virus was making the rounds, and Kosoian considered the handrail a cesspool of microbes. …A police officer…stopped in front of Kosoian on the step below when the escalator had taken her about halfway down. The officer, Fabio Camacho, …ordered her to hold the handrail. Kosoian says she responded: “It’s my right to hold the handrail or not to hold it.” …when Kosoian reached the bottom of the escalator, Camacho and his partner, the officer who initially walked past Kosoian, grabbed her by the arms and took her to a nearby locked room that also contained a jail cell. …Camacho and his partner cuffed Kosoian’s hands behind her back and sat her in a chair. He searched her bag, found her driver’s licence and began writing her two tickets: a $100 fine for not holding the handrail, and a $320 fine for obstructing the work of a police officer. It’s quite possible that Kosoian was being obnoxious and baiting the cops, but none of that changes the fact that not holding a handrail shouldn’t be a criminal offense. Do cops in Canada bust into people’s houses to see if mattress tags are still attached (though perhaps only the U.S. is dumb enough to have such a rule)? Interestingly, this episode from 2009 is now going to the Canadian Supreme Court. The Laval police force and the transit agency…pressed for the fines to be paid, and Kosoian’s refusal triggered a municipal court hearing in May 2011. In March 2012, Judge Florent Bisson acquitted Kosoian of the tickets… Kosoian…launched a lawsuit against Camacho, the STM and the City of Laval. In August 2015, the Quebec Court dismissed it with a legal tongue lashing. …She appealed and, on Dec. 5, 2017, the Quebec Court of Appeal ruled against her in a 2-1 decision. …Kosoian and her lawyer again appealed, this time to the Supreme Court. …the Supreme Court has only granted about 10 per cent of the 500 or so requests for appeals it receives each year. So Thomas Slade, a lawyer who is not involved in the case, says he was initially surprised when the court agreed to hear Kosoian. I’m not overflowing with sympathy for Ms. Kosoian, but there’s not much doubt that getting rid of stupid laws is the best way of avoiding this type of mess. I’ll close with two observations. First, Americans can’t throw stones at our Canadian friends since we live in a glass house. Second, Canada obviously needs to change some of its silly laws, but I don’t want this to be interpreted as an indictment of the entire country (notwithstanding Prime Minister Zoolander). In recent decades, Canada has dealt with several issues (spending restraint, welfare reform, corporate tax reform, bank bailouts, regulatory budgeting, the tax treatment of saving, school choice, and privatization of air traffic control) in a very sensible fashion. P.S. Though a Canadian politician is eligible for the hypocrite-of-the-century award. Since I’m a proponent of tax reform, I don’t like special favors in the tax code. Deductions, exemptions, credits, exclusions, and other preferences are back-door forms of cronyism and government intervention. Indeed, they basically exist to lure people into making decisions that otherwise aren’t economically rational. These distortionary provisions help to explain why we have a hopelessly convoluted and deeply corrupt tax code of more than 75,000 pages. And they also encourage higher tax rates as greedy politicians seek alternative sources of revenue. This current debate over “tax extenders” is a sad illustration of why the system is such a mess. Writing for Reason, Veronique de Rugy explains how special interests work the system. Tax extenders are temporary and narrowly targeted tax provisions for individuals and businesses. Examples include the deductibility of mortgage-insurance premiums and tax credits for coal produced from reserves owned by Native American tribes. …These tax provisions were last authorized as part of the Bipartisan Budget Act of 2018, which retroactively extended them through the end of 2017, after which they have thus far been left to remain expired. If Congress indeed takes up extenders during the current lame-duck session, any extended provisions are likely to once again apply retroactively through the end of 2018, or perhaps longer. There are several problems with this approach to tax policy. Frequently allowing tax provisions to expire before retroactively reauthorizing them creates uncertainty that undermines any potential benefits from incentivizing particular behaviors. To make matters more complicated, a few of the extenders are good policy because they seek to limit double taxation (a pervasive problem in the U.S. tax system). …not all tax extenders are a problem. Some are meant to avoid or limit the double taxation of income that’s common in our tax code. Those extenders should be preserved. Yet others are straightforward giveaways to special interests. Those should be eliminated. Veronique suggests a sensible approach. It’s time for a new approach under which tax extenders are evaluated and debated on their individual merits. The emphasis should be on eliminating special-interest handouts or provisions that otherwise represent bad policy. Conversely, any and all worthy provisions should be made permanent features of the tax code. …The dire need to fix the federal budget, along with the dysfunctional effects from extenders, should provide the additional motivation needed to end this practice once and for all. Needless to say, Washington is very resistant to sensible policies. In part, that’s for the typical “public choice” reasons (i.e., special interests getting into bed with politicians to manipulate the system). But the debate over extenders is even sleazier than that. As Howard Gleckman explained for Forbes, lobbyists, politicians, and other insiders relish temporary provisions because they offer more than one bite at the shakedown apple. 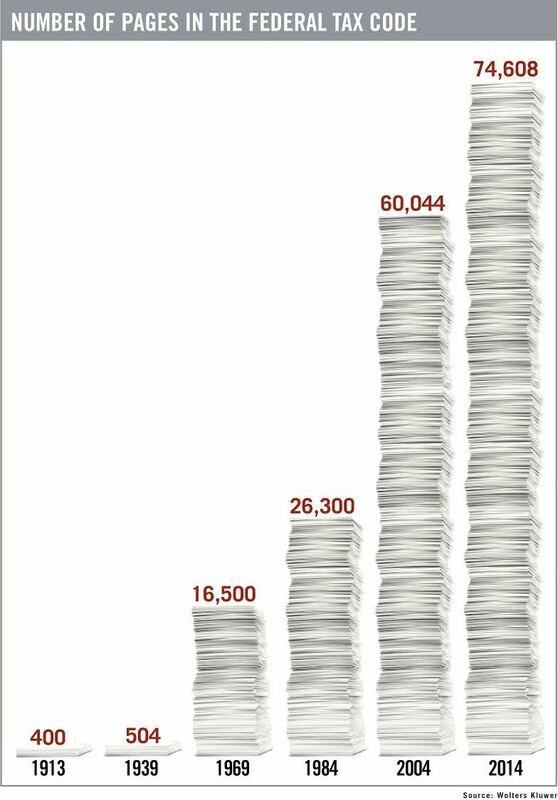 If you are a lobbyist, this history represents scalps on your belt (and client fees in your pocket). If you are a member of Congress, it is the gift that keeps on giving—countless Washington reps and their clients attending endless fundraisers, all filling your campaign coffers, election after election. An indelible image: It is pre-dawn in September, 1986. House and Senate tax writers have just completed their work on the Tax Reform Act. A lobbyist friend sits forlornly in the corner of the majestic Ways & Means Committee hearing room. “What’s wrong,” I naively ask, “Did you lose some stuff?” Oh no, he replies, he got three client amendments in the bill. And that was the problem. After years of billable hours, his gravy train had abruptly derailed. The client got what it wanted. Permanently. And it no longer needed him. Few make that mistake now. Lawmakers, staffs, and lobbyists have figured out how to keep milking the cash cow. There are now five dozen temporary provisions, all of which need to be renewed every few years. 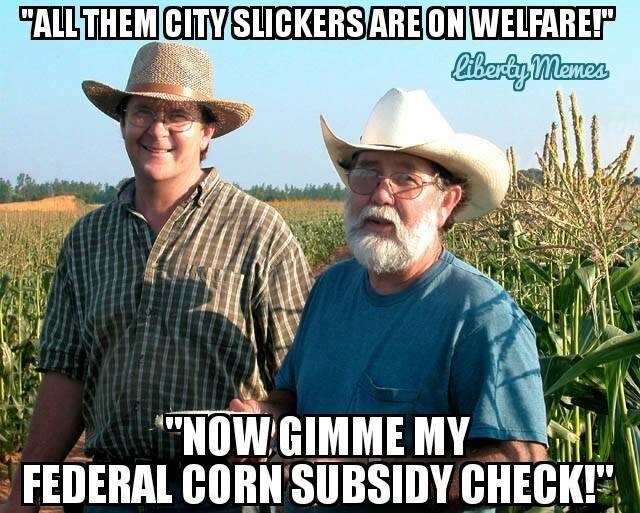 To add to the drama, Congress often lets them expire so it can step in at the last minute to retroactively resurrect the seemingly lifeless subsidies. In other words, the temporary nature of extenders is a feature, not a bug. This is a perfect (albeit depressing) example of how the federal government is largely a racket. It enriches insiders (as I noted a few days ago) and the rest of us bear the cost. All of which reinforces my wish that we could rip up the tax code and replace it with a simple and fair flat tax. Not only would we get more growth, we would eliminate a major avenue for D.C. corruption. P.S. I focused today on the perverse process, but I can’t help but single out the special tax break for electric vehicles, which unquestionably is one of the most egregious tax extenders. EV tax credits…subsidize the wealthy at the expense of the lower and middle classes. Recent research by Dr. Wayne Winegarden of the Pacific Research Institute shows that 79 percent of EV tax credits were claimed by households with adjusted gross incomes greater than $100,000. Asking struggling Americans to subsidize the lifestyles of America’s wealthiest is perverse… Voters also shouldn’t be fooled by the promise of large environmental benefits. Modern internal combustion engines emit very little pollution compared to older models. Electric vehicles are also only as clean as the electricity that powers them, which in the United States primarily comes from fossil fuels. I was hoping that provisions such as the EV tax credit would get wiped out as part of tax reform. Alas, it survived. I don’t like when politicians mistreat rich people, but I get far more upset when they do things that impose disproportionate costs on poor people. This is one of the reasons I especially dislike government flood insurance, Social Security, government-run lotteries, the Export-Import Bank, the mortgage interest deduction, or the National Endowment for the Arts. Let’s add the EV tax credit to this shameful list. Some departments of the federal government should be shut down because of federalism. High on that list would be the Department of Education and Department of Transportation. Other departments should be shut down because there is simply no role for any government involvement at any level. I usually cite the Department of Housing and Urban Development as an example, but the Department of Agriculture also should be terminated. It’s a rat’s nest of special interest favors. I’ve previously written about inane intervention to enrich Big Dairy, Big Sugar, and Big Corn. But I confess that I was unaware of Big Cranberry. The Wall Street Journal opines about the nonsensical nature of cranberry intervention. As you dip into the Thanksgiving cranberry sauce, here’s a tart story that may make you want to drain the bog. This fall the U.S. Agriculture Department gave cranberry growers its approval to dump a quarter of their 2018 crop. Tons of fruit and juice—in the ballpark of 100 million pounds—will be turned into compost, used as animal feed, donated or otherwise discarded. The goal is to prop up prices. Needless to say, there’s nothing about propping up cranberry prices in Article 1, Section 8, of the Constitution. This is also a common-sense issue, as the WSJ explains. The USDA rule caps growers’ production based on their historical output, with some exemptions. Small cranberry processors aren’t covered, and neither are those that don’t have inventory left over from last year. The trouble is that this reduces everyone’s incentive to downsize… Among the many economic perversities of agricultural policy, this is merely a vignette. Still, America is growing 100 million pounds of cranberries and then throwing them away to raise prices per government order. 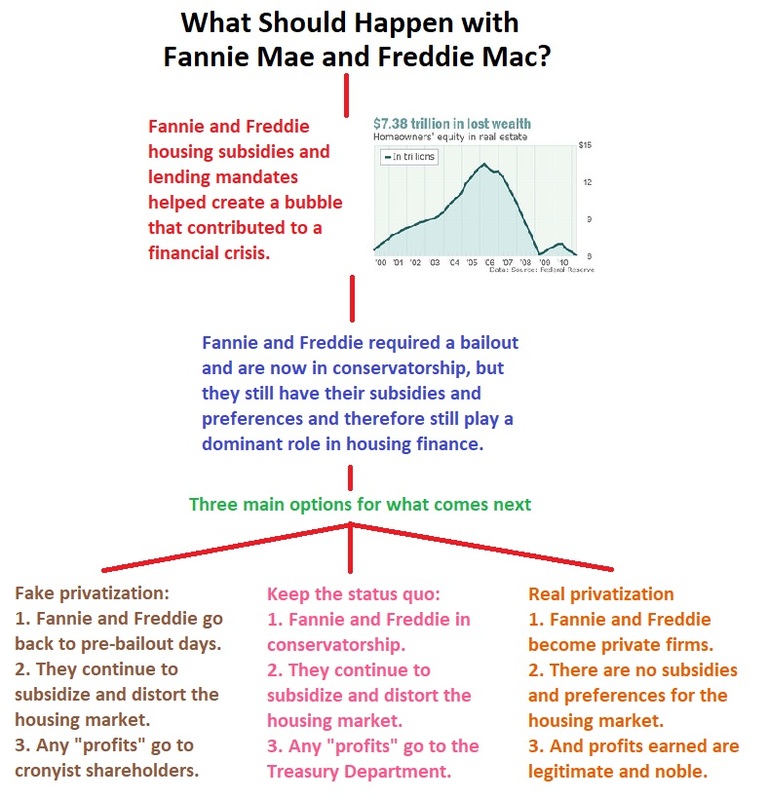 Wouldn’t it be better—and easier—to let the market work? By the way, Trump’s protectionism is also part of the problem. President Trump’s trade war hasn’t helped. About a third of production usually goes overseas. But in June the European Union put a 25% tariff on U.S. cranberry-juice concentrate in retaliation for U.S. steel tariffs. A month later, China bumped its tariff on dried cranberries to 40% from 15%. Mexico and Canada also added duties. Though I don’t recommend thinking about it too much, lest you get indigestion. The solution is to copy New Zealand and get rid of all agriculture handouts. P.S. If you like Thanksgiving-themed libertarian humor, the image at the bottom of this column augments the image to your right. P.P.S. 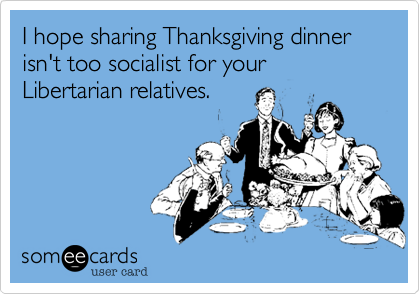 And if you like Thanksgiving-themed videos with libertarian messages, here’s one option and here are two others. Indeed, that’s a big reason why I favor better tax policy. I want low rates and less double taxation so we get more entrepreneurship and investment, which then will lead to higher productivity and more compensation for workers. With this in mind, let’s look at some good news from a story in the New York Times. Amazon said on Tuesday that it would raise the minimum wage to $15 an hour for its United States employees, a rare acknowledgment that it was feeling squeezed by…a tight labor market. The raises apply for part-time workers and those hired through temporary agencies. …The new wages will apply to more than 250,000 Amazon employees, including those at the grocery chain Whole Foods, as well as the more than 100,000 seasonal employees it plans to hire for the holiday season. This is an encouraging development. My support for pro-market policies is partly driven by philosophy (freedom to engage in voluntary exchange, etc), but also motivated by a desire to help people become more prosperous. It’s too soon to say for sure, but perhaps we’re seeing evidence that last year’s tax reform is paying dividends. 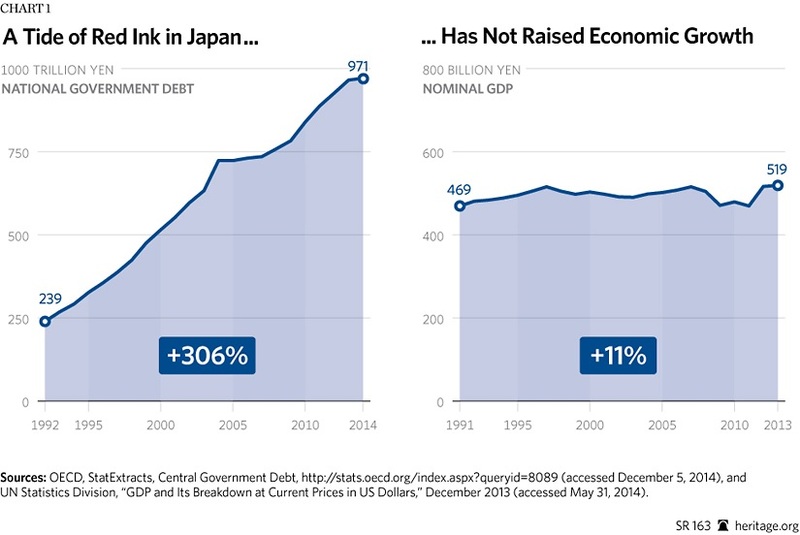 Of course, it’s also possible that we’re in a bubble that’s about to pop, but let’s hope that’s not the case. In any event, there’s also some bad news in the story. Amazon’s decision may not simply be a business decision. It also might be a way of appeasing the crowd in Washington. The company now employs about 575,000 people worldwide, up more than 50 percent in the past year…the pay of those workers has become a growing issue for activists… “I think they saw the writing on the wall…,” Senator Bernie Sanders of Vermont said in an interview after the announcement. …Mr. Sanders and labor organizers have criticized the wages and conditions of Amazon’s work force. …As recently as last month Amazon was resisting the pressure. The most nauseating aspect of this is that Amazon’s boss issued a groveling tweet to Crazy Bernie. Since I’ve shared the good news and bad news, now let’s look at the ugly news. Having decided to boost wages for his workers, Bezos now want to impose higher costs on smaller companies that compete against Amazon. The company said it would also lobby Washington to raise the federal minimum wage, which has been set at $7.25 for almost a decade. This is a classic example of cronyism. A big company is using the coercive power of government to unfairly tilt the playing field. The Wall Street Journal opined about this oleaginous development. Jeff Bezos…the Amazon CEO showed he also has impeccable political timing. His decision to raise Amazon’s minimum wage to $15 an hour will buy the tech company some political insurance… Mr. Bezos also announced that Amazon will now lobby Congress to raise the national minimum wage from $7.25 an hour. If Amazon is already paying $15, it’s no competitive sweat for Mr. Bezos to look virtuous for the media and politicians. The WSJ also commented on the implicit extortion. Speaking of government, Amazon’s wage increase may also buy some insurance against a looming assault from Congress. Bernie Sanders, the Vermont socialist and likely presidential candidate in 2020, has introduced the Stop Bezos Act that would tax Amazon to finance government transfer payments like food stamps. …Mr. Bezos also wants to hold off the federal antitrust cops, but that may cost more than $15 an hour. Politics aside, Amazon’s wage increase wouldn’t be possible if the U.S. economy hadn’t risen out of its eight-year Obama doldrums. As always, the best way to raise living standards is faster growth, not political coercion. Sadly, this is not the first time Amazon has climbed into bed with politicians. It is currently seeking special handouts from state and local governments for a new headquarters complex. P.S. If you want to understand why government-imposed mandates for higher minimum wages are misguided, there’s very powerful evidence from Seattle. Simply stated, workers lose jobs and income.